A change of English law in 1754 saw Lord Hardwicke introduce an act of Parliament which stopped anyone under the age of 18 marrying without their parent's consent. Upon learning they could marry in Scotland at the age of 16, many young couples flocked to the first place they could find across the border. More often than not, this place was Gretna Green. In those days the most important person in the village was the blacksmith and in Gretna Green he doubled as the local minister. Before long the blacksmith tired of constantly having to change clothes to marry the runaways. Instead he invited them into his workshop and conducted the wedding ceremony over his anvil starting a tradition which has carried on into modern times. Another law change in 1857 saw Lord Brougham introduce a three week 'cooling off' period. This meant couples must reside in the parish of Gretna Green for three weeks prior to their anvil wedding. The penniless couples would often seek work on local farms to fund their time in the area. This law carried on until 1940 when all 'irregular' marriages were stopped. The tradition of Gretna Green weddings is holding strong into the 21st century with many couples flocking across the border to enjoy a Gretna Green wedding and the wonderful Scottish hospitality on offer at venues such as ours. 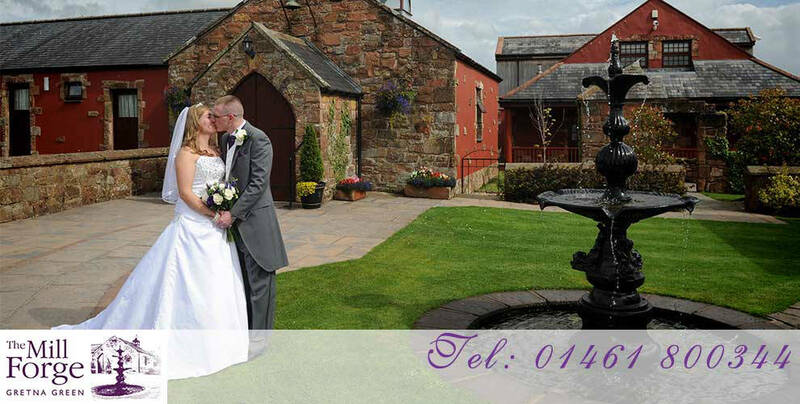 Join the tradition and give us a call about having your wedding in Gretna Green. Our wedding planners are happy to help.